With a Comark HLA-1 Digital Thermometer with Hi-Low Cooking and Cooling Alarm you will be right on temperature with every item cooked. 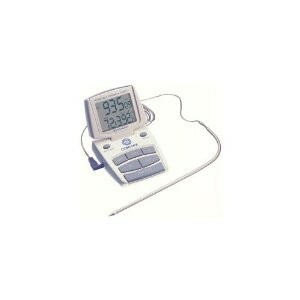 The Comark HLA-1 Digital Thermometer has a 36 inch stainless steel and a heat resistant probe. This Comark HLA-1 Digital Thermometer will work great in any kitchen and whether your cooking or letting cool it will provide you accuracy with every use.